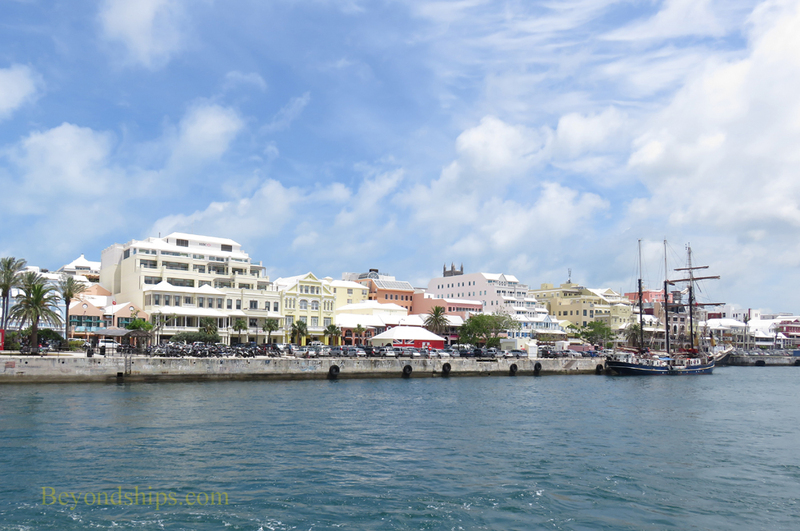 Above: The Royal Naval Dockyard. There are, in theory, three places where cruise ships can dock in Bermuda. 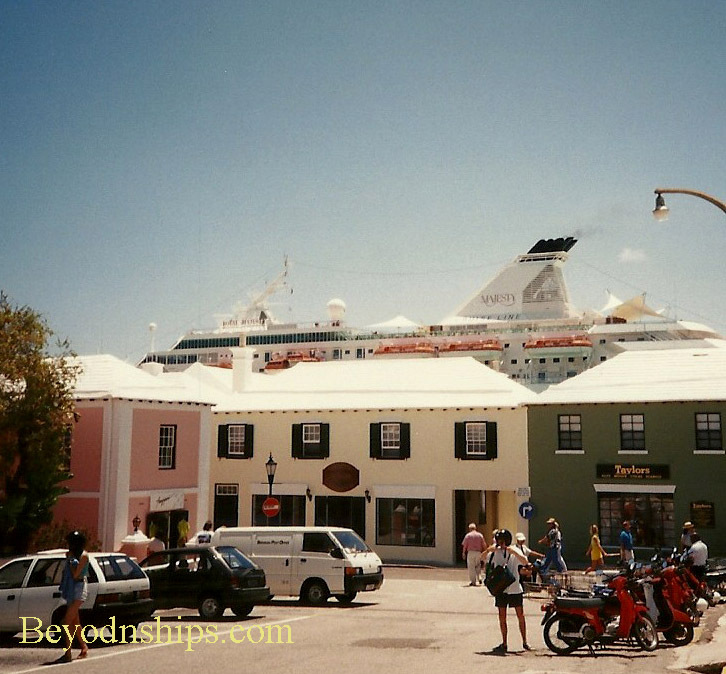 line of cruise ships tied-up along Front Street, Bermuda's capital city. Passengers could simply walk off the ship and be right in the heart of town. Now, however, only small and medium sized cruise ships are able to dock in Hamilton. Since cruise ships are getting larger and larger, fewer and fewer ships are docking in Hamilton. The same is true of St. George's at the eastern tip of the island. In fact, as of this writing, none of the major lines are docking in St. George. 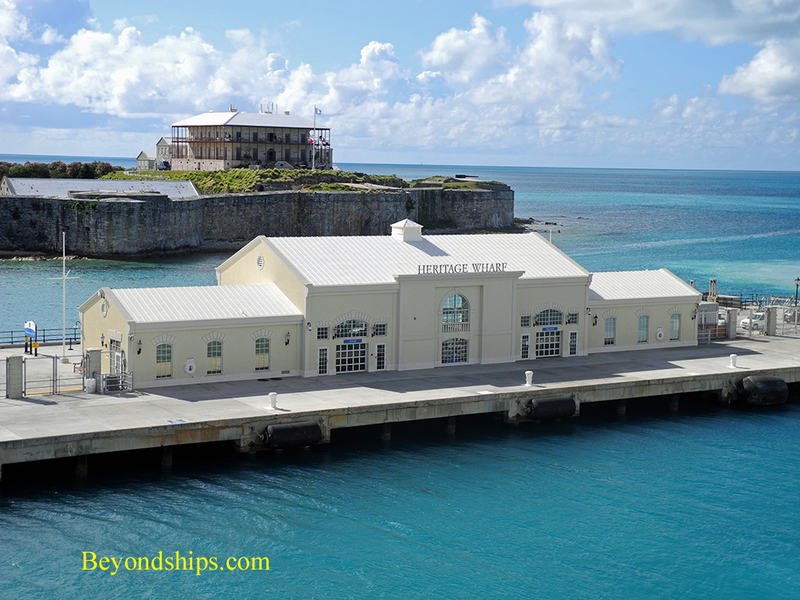 As a result, the vast majority of cruise ships calling in Bermuda, dock at the Royal Naval Dockyard at the western tip of the island. 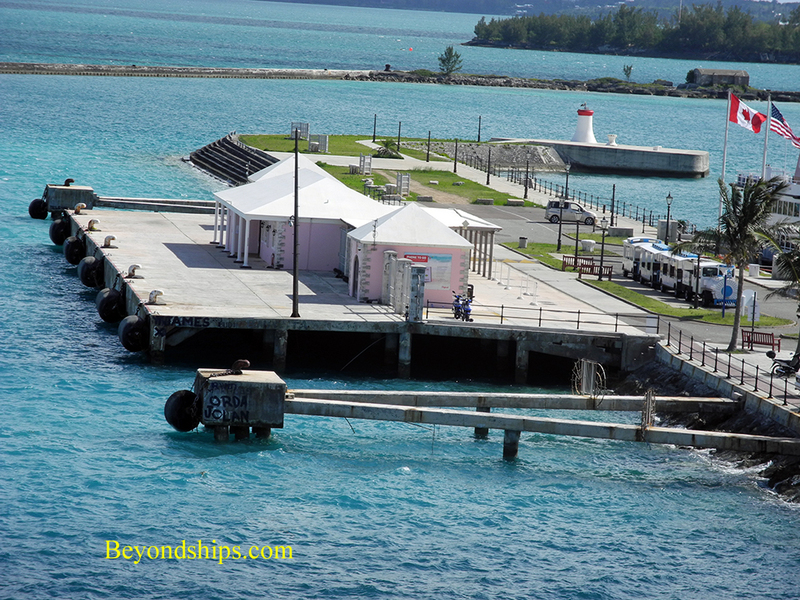 This area has two piers - - King's Wharf and Heritage Wharf. Usually, there is one ship per pier. Both wharves have their own terminal building. The primary function of these buildings is to secure access to the ships. However, there are also booths selling local souvenirs and providing tourist information. You can also purchase transportation passes at the terminal buildings. 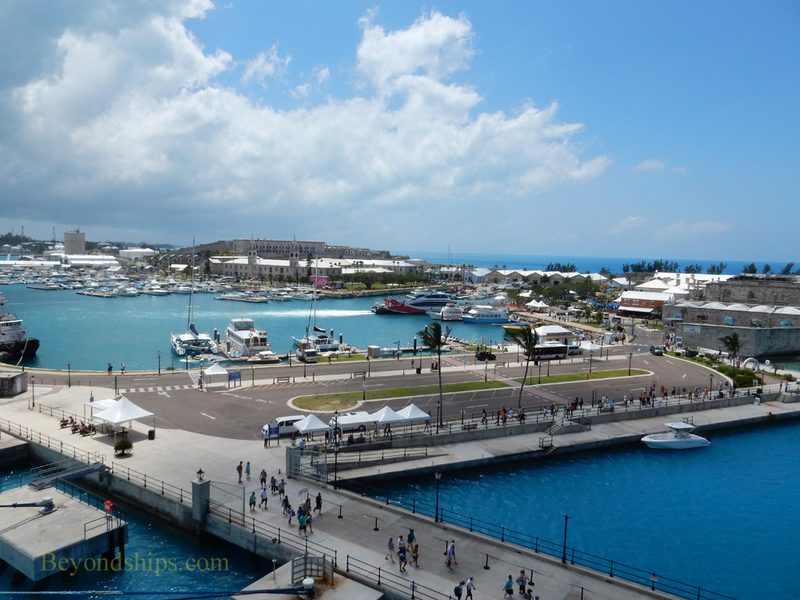 The Dockyard is somewhat distant from most of Bermuda's traditional tourist attractions. However, in the last decade, this port area has been transformed with shops, eateries and museums. (See separate page on the attractions in the Dockyard). There is also a high speed ferry service running between the port and downtown Hamilton and St. George as well as public buses, taxis and mini-vans. Below: The cruise ship berth in Hamilton.